Professor Russell Tytler is an educationalist focusing on science education. 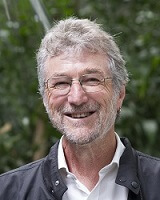 He was awarded a PhD in science education from Monash University in 1995. He is the Chair in Science Education at Deakin University, Coordinator of the “Re-imagining futures in Science, Technology, Environmental and Mathematics (STEME) research group and Deputy Director of the Centre for Research in Educational Futures and Innovation at Deakin University.